Apple CEO Tim Cook has allegedly returned an email from a concerned consumer, and suggests that there are imminent changes in the pipeline. A MacRumors reader emailed Cook, asking if the company was "pulling away" from the Mac line. "I love the Mac and we are very committed to it," said Cook in the email. "Stay tuned." MacRumors believes the email to be from Apple, if not necessarily from Cook himself, based on examined email headers. In 2015, Apple's iOS-centric event was held on Sept. 9. OS X El Capitan was released on Sept. 30, 2015, with the 4k 21.5-inch iMac revealed about two weeks later on Oct. 13. MacOS Sierra will have a consumer release on Sept. 20, less than a full year after El Capitan. 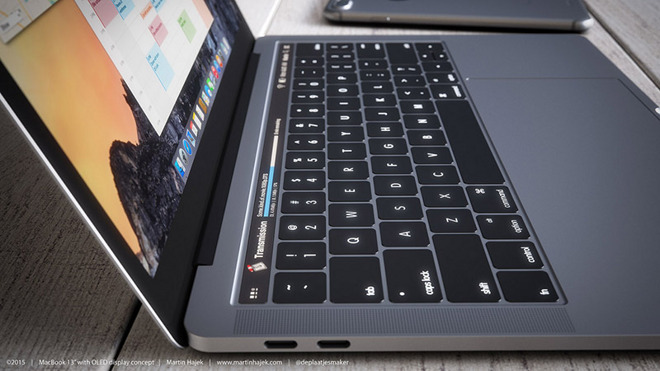 A possible appearance during the next Mac refresh is a new MacBook pro with an OLED strip replacing the function keys. The new machine is likely to have Thunderbolt 3, USB 3.1 Generation 2, and an AMD "Polaris" GPU. Less clear for a new MacBook Pro is what CPU Apple has chosen. A quad-core Skylake processor for the machine is now available, but rumors peg new Kaby Lake processors beyond the first two official releases suitable for the MacBook Pro now at manufacturers.